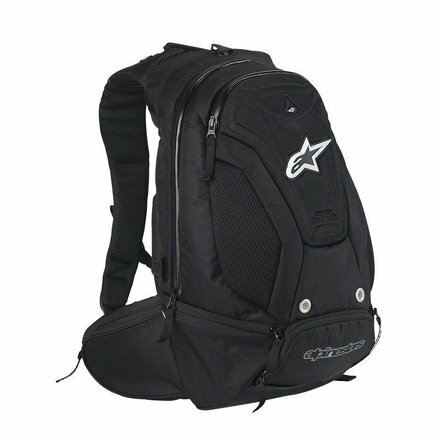 Incorporating a host of innovative features designed to offer unparalleled levels of riding comfort and performance, this technical 18- liter backpack promotes air cooling and is engineered to provide superb aerodynamics – resulting in a backpack that is so personalized to your that you will hardly know you are wearing it. Advanced poly-fabric (600 denier on main shell; 1200 denier on base) outer construction is PU coated for additional strength and weight-saving, as well as improved durability and water resistance. 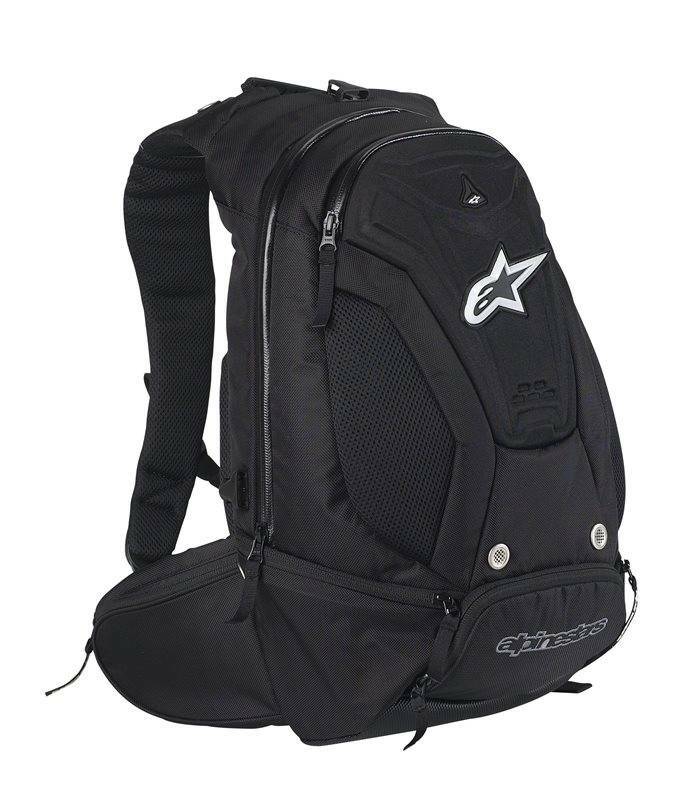 Integrated advanced thermoformed PU top hard shell protects backpack’s contents and is profiled for aerodynamic performance. 18-litre capacity interior with internal laptop sleeve, multiple organizer pockets to keep personal items safe but accessible. Low profile, sport silhouette design for improved aerodynamic performance when in the riding position. Anatomically profiled back panel incorporates foam padding inserts and advance air-mesh to promote superb air channeling and improved comfort while riding. Back padding also helps distribute weight evenly across the back area which is important for comfort on longer rides. Innovative new ‘S’ design shoulder strap system is designed to follow the natural contours of rider’s upper torso and incorporates customizable chest connection system which features adjustable locking closures for a secure and highly personalized fit. Grab handle integrated into shoulder system for lightweight, ergonomic performance. Waist belt connector is highly adjustable and can be conveniently packed away; kidney belt pockets are expandable to store larger objects when required. 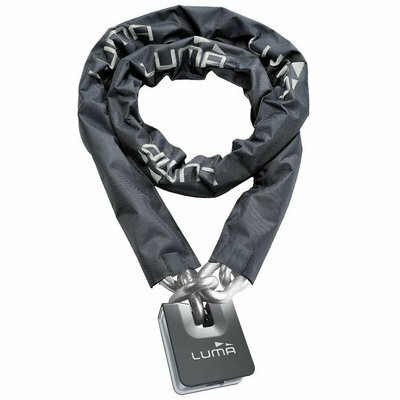 Incorporated with a waterproof rain cover that is easily stored in the front compartment. Helmet carrier system is incorporated and is easily stored in bottom pocket. Premium zips feature TPR pull tabs for ease of use, even when using gloves.